b. Joliet, IL, USA. d. June 2, 1929, USA. 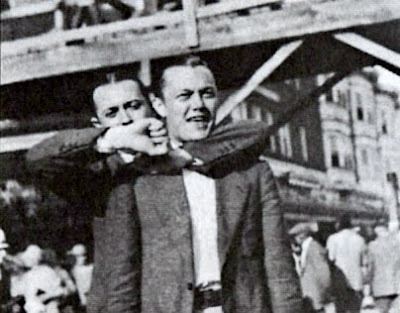 (left) and trombonist Tommy Dorsey (right). Among those with whom he worked are Benny Goodman, Ted Lewis, Joe Venuti, Adrian Rollini and Chauncey Morehouse. 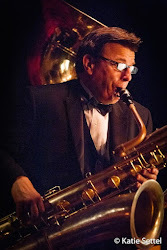 In 1923, he played tenor sax briefly with the New Orleans Rhythm Kings (NORK), and from 1923-'27 with with the Jean Goldkette Orchestra in Detroit, MI. 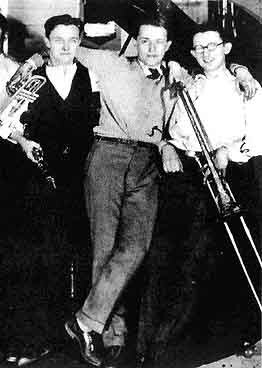 The band at that time included Bix Beiderbecke and Frankie Trumbauer (1926-'27). 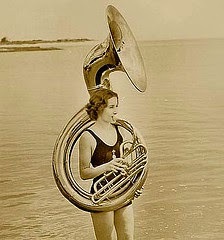 In 1927, he was part of Adrian Rollini's legendary orchestra. 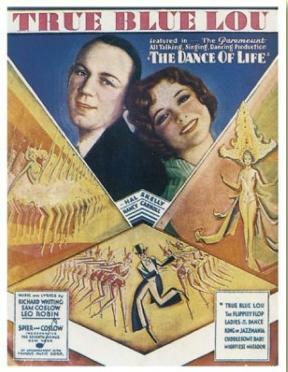 From 1927-'28, he worked with Joe Venuti. He subsequently found work in Broadway's pit orchestras, and then with the Ted Lewis orchestra. In his last year of life, Murray appeared in the Lewis film short "Is Everybody Happy". Don Murray was one of the best young jazz clarinetist and saxophonists in the 1920s. 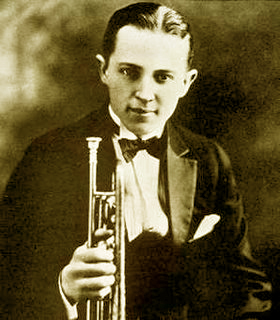 He recorded with Bix Beiderbecke, Tommy Dorsey, Ted Lewis, Joe Venuti and Adrian Rollini. 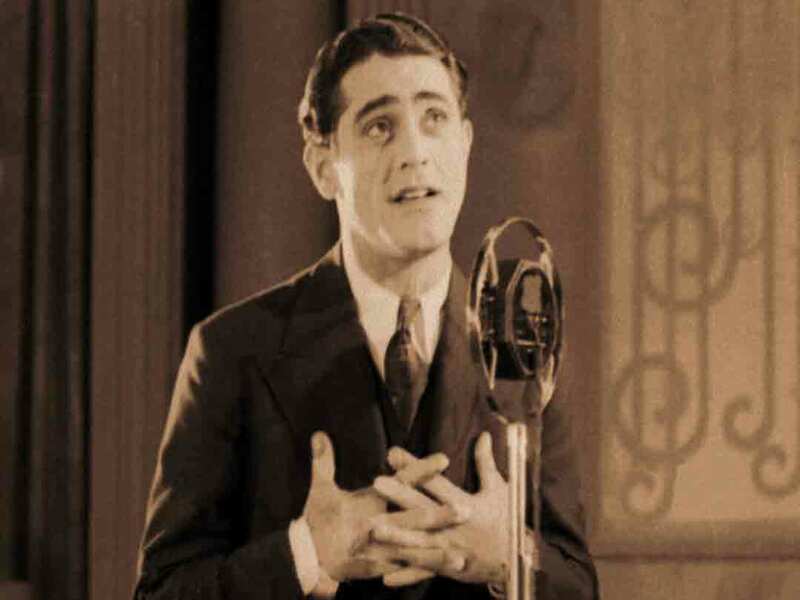 He was a member of the Jean Goldkette Orchestra and was featured in Ted Lewis' 1929 film "Is Everybody Happy?". Don Murray was born in Joliet, Illinois and attended high school in Chicago. 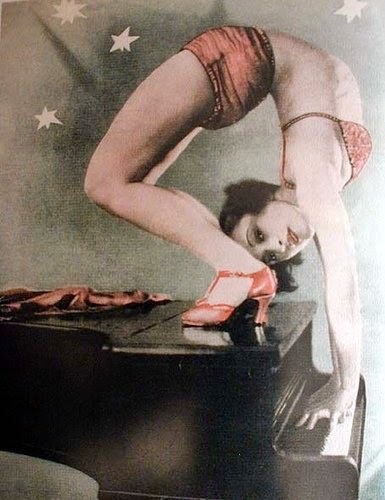 He died in 1929 in Los Angeles from injuries suffered during a freak accident during an epileptic seizure. He was 25. After Glen graduated from Illinois Westleyan College, he found work playing the saxophone with one of the Jean Goldkette managed bands, -the 'Orange Blossoms'. In 1928 the group had been booked for the opening of the then brand new Casa Loma hotel in Toronto, Canada. The "Orange Blossoms' later disbanded, and the bandsmen adopted the name 'Casa Loma Orchestra' for their Detroit area gigs. 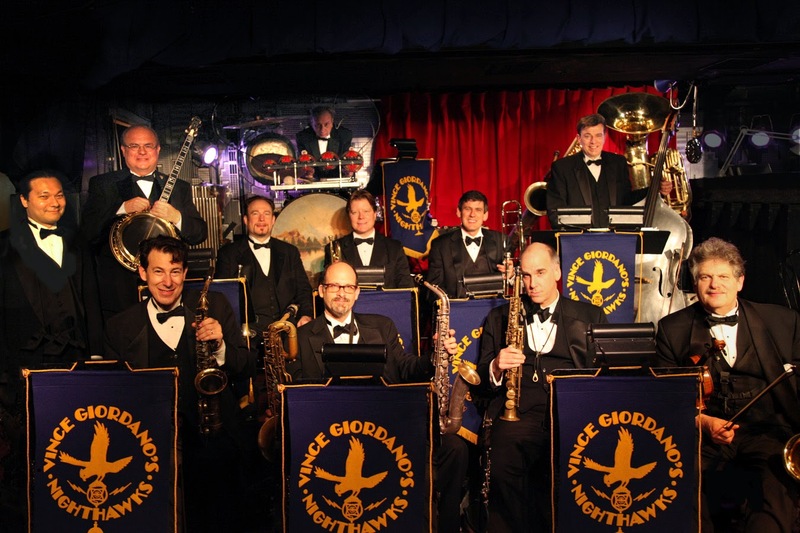 In 1929, the co-operative band was formed with Gray as the corporation president and Henry Biagini as their first 'frontman'. Subssequently, the band was 'fronted' by violinist Mel Jenssen, who remained its leader for several years. 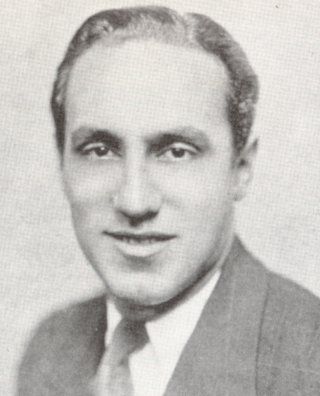 During the early 30s, Gene Gifford was the band's arranger. In 1937, (still a co-op 0rch.) 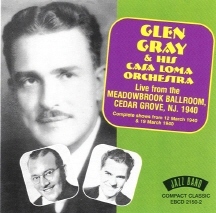 the members voted Glen Gray to be their 'frontman', and Gray held that position until his retirement in 1950.
d. Jan. 3, 1959, USA. 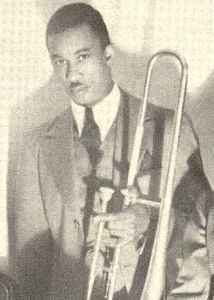 Edward Emerson Cuffee (June 7, 1902, Norfolk, Virginia - January 3, 1959, New York City) was an American jazz trombonist. 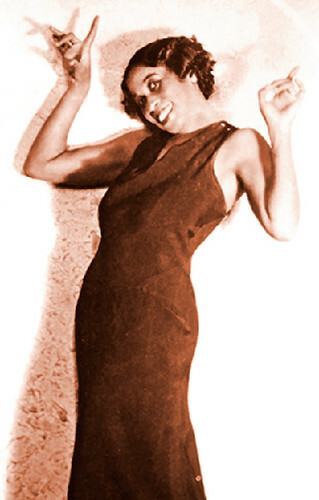 Cuffee moved to New York in the 1920s, where he recorded with Clarence Williams (1927-29) and played with Bingie Madison. 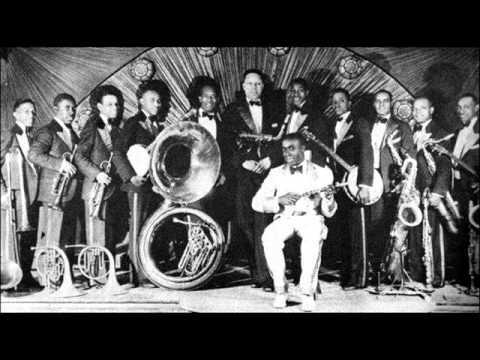 He played in McKinney's Cotton Pickers (1929-34) and in Fletcher Henderson's band (1935-38), then with Leon Abbey (1940 and subsequently), Count Basie (1941), Chris Columbus (1944), and Bunk Johnson (1947). Cuffee quit playing professionally after the late 1940s. Eugene Porter, an expert reed player remembered fondly in the autobiography of Miles Davis, might have been a trumpet player himself had some light-fingered Louie not made off with his very first instrument, a cornet. 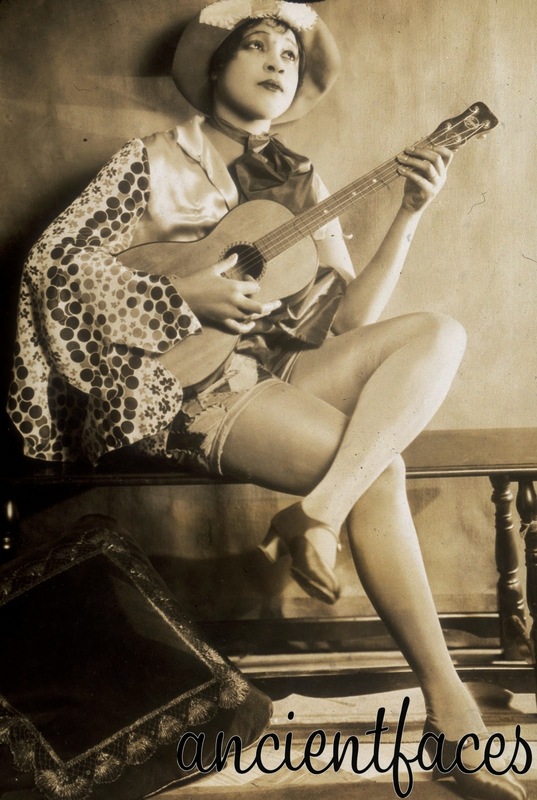 His recorded appearances including terrific sides from throughout Fats Waller's career, Porter was raised by parents whose love of guitar was apparently part of their marital bond, although neither played professionally. He was brought up in Mississippi but moved to Chicago in high school, playing in marching bands before developing a corrupting interest in jazz that inspired him to quit school entirely. 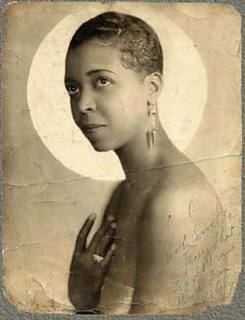 By the late '20s Porter was gigging with regal trumpeter Billy King and studying the licorice stick with Omer Simeon. A big part of Porter's sound could be poetically described as the distilled essence of New Orleans jazz. 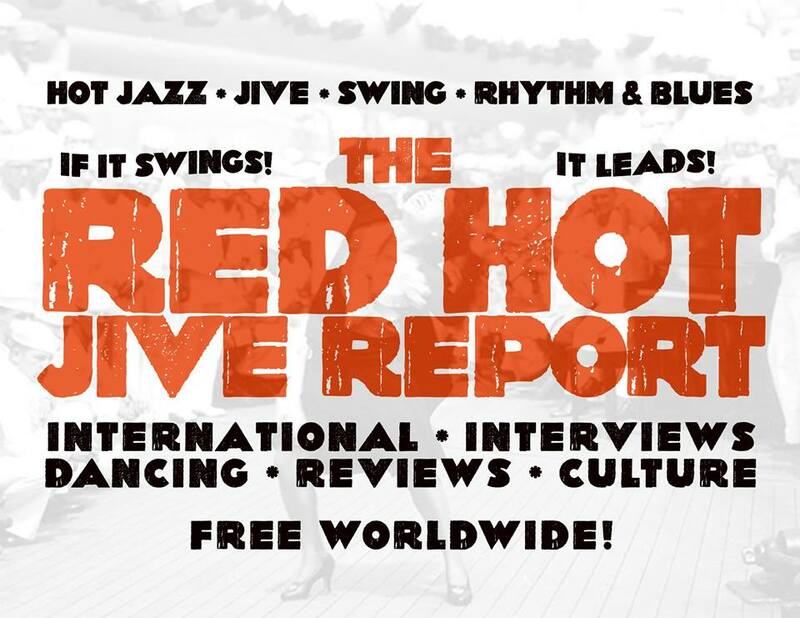 He first arrived in the jazz mecca with the aforementioned King, their moving venue an excursion train, their stage a baggage car in which luggage was pushed aside to allow room for dancing. 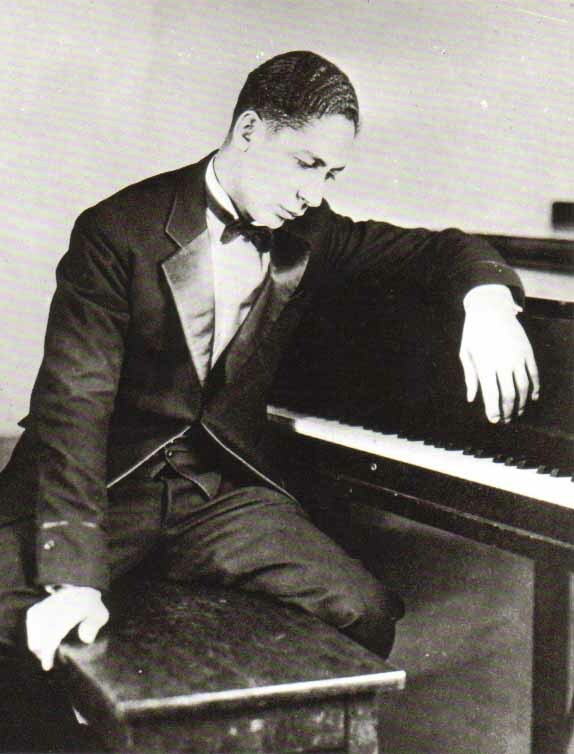 Porter again returned to New Orleans in 1931, playing with the groups of Clarence Desdunes, Papa Celestin, and Sidney Desvignes, among others. A riverboat job with the latter artist imported Porter to St. Louis, where he began working with Tab Smith, Jimmie Lunceford, and then Benny Carter. Near the end of 1942, the reed player was one of the musicians Carter took with him out to Hollywood, a move that led to studio recording assignments and some important appearances on film. Porter can be seen onscreen in movies from this era such as Stormy Weather, The Gang's All Here, and As Thousands Cheer. Porter's chops on clarinet kept him out of harm's way during the Second World War: he was a soloist in the 103rd Army Band. He went back to work with Carter when the shooting died down, eventually developing a longstanding relationship with trumpeter and singer Walter Fuller. They worked at venues such as San Diego's Club Royal for more than a decade. In the '60s Porter led his own groups in southern California, displaying his chops on the full range of saxophones, clarinet, and flute, sometimes backed only by drums. In the '80s Porter was elected to the St. Louis Jazz Hall of Fame. d. July 23, 1960, USA. This Southern musician's early start helped him get a foot in the door of many of the most innovative and most popular jazz combos of the day, where he emerged as a member well-respected by his fellow players but largely forgotten by the listening public. He was self-taught on the clarinet and began wailing with local bands less than a year after he started playing at 14. He headed for New York City in 1923 after a few years of knocking around the local scene. His first job from the Big Apple jazz merchants was with Lionel Howard's Musical Aces, and from there, gigs with Elmer Snowden, June Clark, and a quite green Duke Ellington. Robinson was on recording sessions with the latter band, including sides cut for Okeh that have been reissued on labels such as Masters of Jazz. 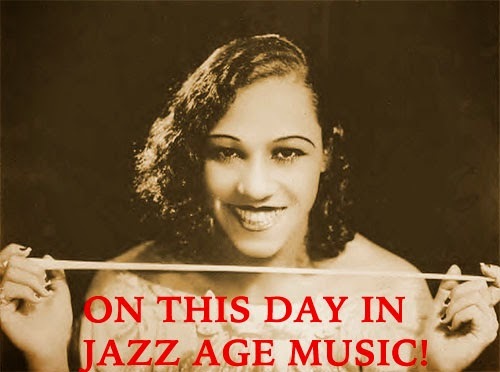 There are many different collections available of Ellington recordings from the mid- and late '20s, many of them featuring Robinson. 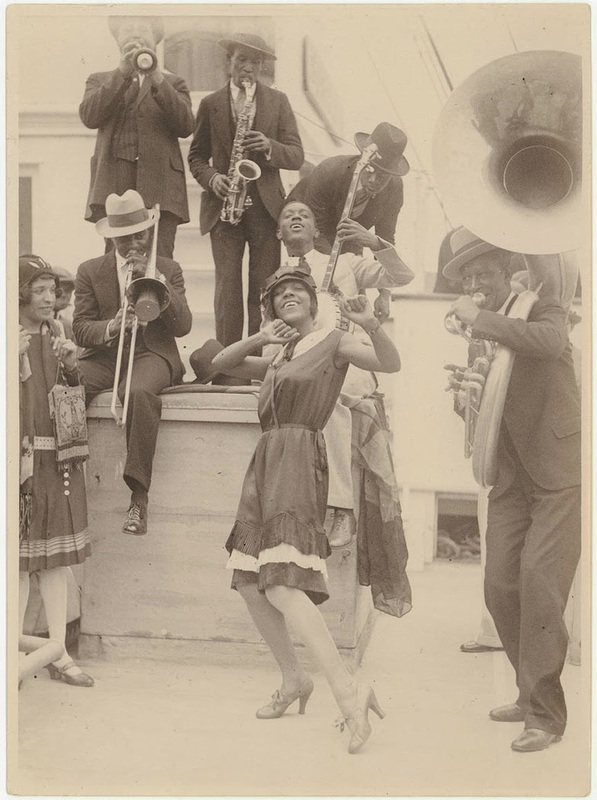 In 1927 he took advantage of the opportunity to tour South America as a member of the Leon Abbey band, then joined the classic hot jazz outfit McKinney's Cotton Pickers, fronted by reed player Don Redman. Robinson's recordings with this group highlight his soloing on tracks such as "Four or Five Times," cut originally for Victor. 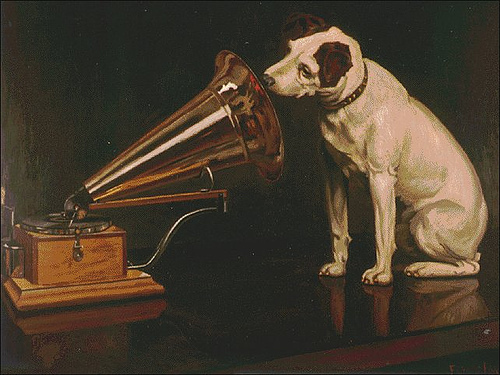 There are a half-dozen different collections available of recordings by the McKinney group. A medium-sized combo that sounded like a much larger group, this band was one of the best mediums for Robinson. One of his specialties fit right in with the group's flair for interesting arrangements. Robinson liked to take solos on both his instruments, the tenor saxophone and the clarinet, during the same tune. Very few reed players in jazz do this, amongst them Rahsaan Roland Kirk, Eric Dolphy (in his much longer improvised excursions), and on a more experimental note, Chicago reedmen Roscoe Mitchell, Anthony Braxton, and Joseph Jarman would reinvent the idea in the '60s. 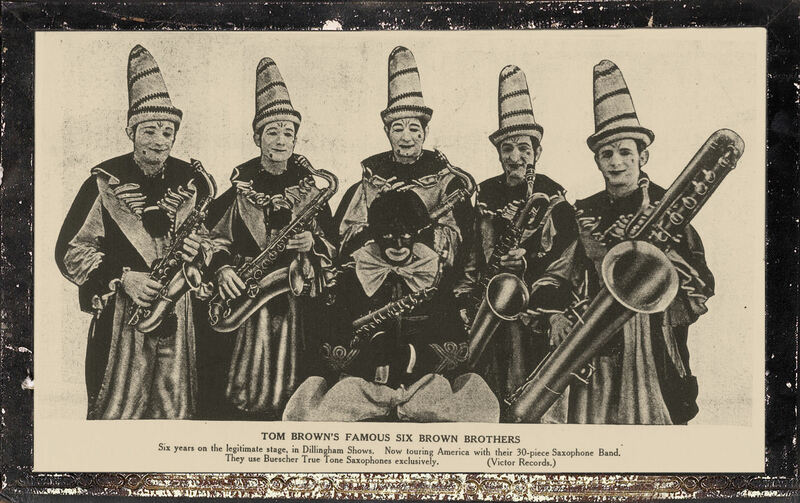 In the late '30s, Robinson played with Blanche Calloway, Willie Bryant, trumpeter Roy Eldridge, and beginning in 1940, jazz giant Louis Armstrong. He stayed with "Satchmo" through 1942, during a creative and energetic part of that jazz master's career. Armstrong undertook quite a few ambitious and interesting recording sessions for Decca during this period. 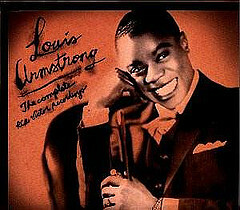 The later merger with this label and MCA and posthumous commercial exploitation of the legend of the Satchmo have resulted in a deluge of collections focusing on or including the '40s, many of which have the name Prince Robinson printed on them, if the record company in question bothered to credit the musicians. 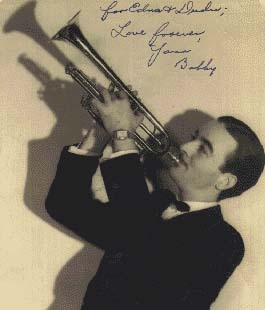 After leaving the Armstrong band, Robinson worked with Lucky Millinder, Benny Morton, and a long stint with pianist Claude Hopkins from 1944 through 1952. He worked in backup bands behind singers Helen Humes and Billie Holiday, and shows up on the latter singer's fabulous studio sessions from the '40s. 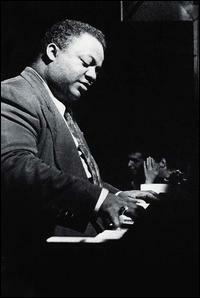 In the '50s, he performed and recorded with trumpeter Henry "Red" Allen and Freddie Washington from 1955 through 1959. 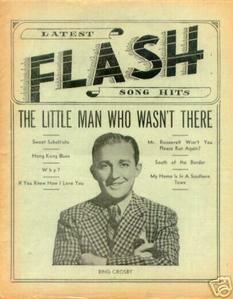 In 1953, he also put together a group under his own name, but gigged with it only briefly. died in Minneapolis, MN, USA. Hank Duncan, seated Fess Williams. died, Long Island, NY, USA. died in New Orleans, LA, USA. 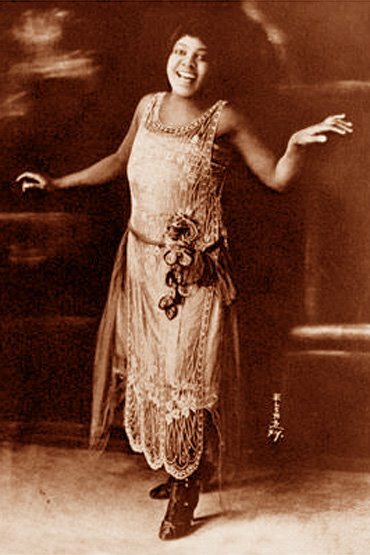 Ethel Waters - Do I Know What I'm Doing? Right this way for the wild animal show! 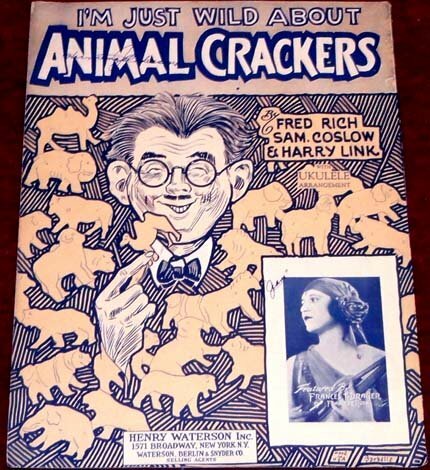 Animal crackers, I love you! Don't miss the big sideshow! Hey, Rube!